Catladyland: Cats are Funny: Guess What? Catladyland Won! And Joy Happened! Guess What? Catladyland Won! And Joy Happened! It's true! 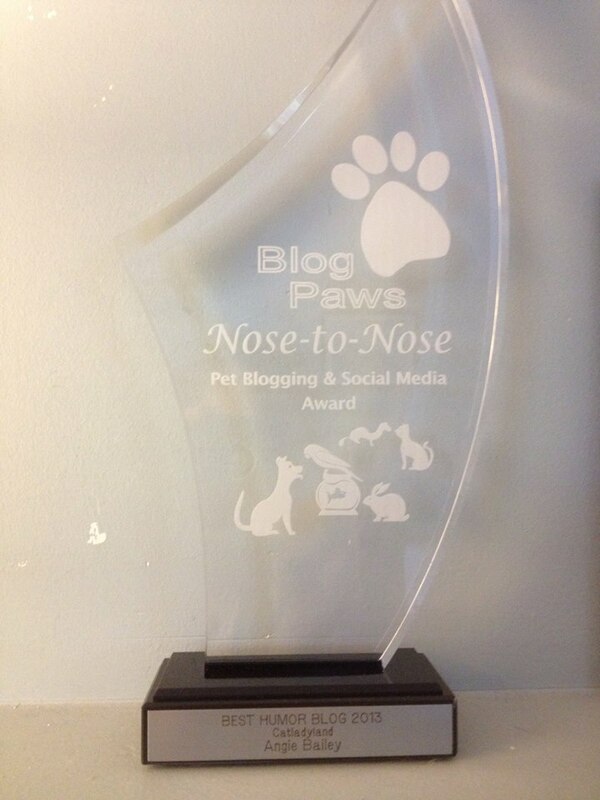 Catladyland won Best Humor Blog in the BlogPaws Nose-to-Nose Social Media and Pet Blogging Awards! My friend Amy took this photo of me on the big screen. I thought for sure writing a speech would jinx my win. 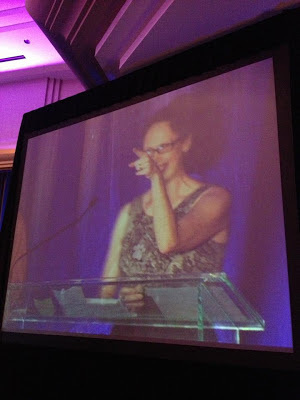 Of course I had no speech prepared so I stood up there and blurted out something about kissing ferrets and then ran off stage. My favorite part of BlogPaws is reconnecting with my favorite cat ladies. 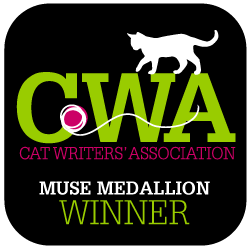 This year I was so proud to be in the company of some fabulous finalists in the awards. These ladies rock in a super-hard way. Fur realsies. How could you not want to totally smooch Deb from The Chronicles of Zee and Zoey, Robin from Covered in Cat Hair, Tamar from I Have Cat, me from ... this blog, JaneA from Paws and Effect and Debbie from Glogirly. YAY!! 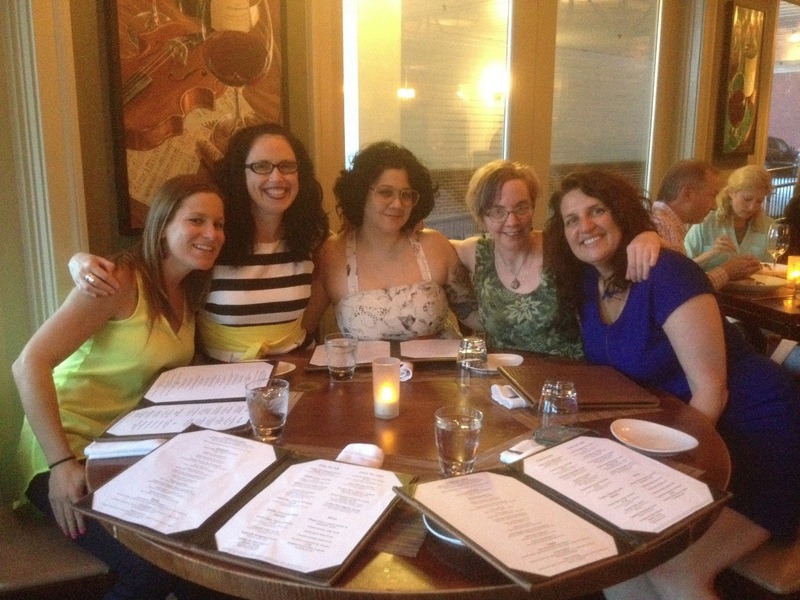 L-R: Deb, Robin, Tamar, me, JaneA and Debbie. FOXES!! Some of the Catster writers got to finally meet up with Janine and Lori from Catster.com, the online magazine to which we contribute. We ate way too much delicious food and by the time we left, I wished for some maternity pants. I am so in love with these ladies. Overall, this was my favorite BlogPaws ever!! Thank you so much to Purina for sponsoring me -- they are the best! And next year is Vegas, baby! Cats in showgirl costumes? Yes, please!